Nestlé trademark case in Singapore | Smit & Van Wyk, Inc.
Nestlé lost it’s appeal in the trademark case to protect Kit Kat shapes in Singapore. 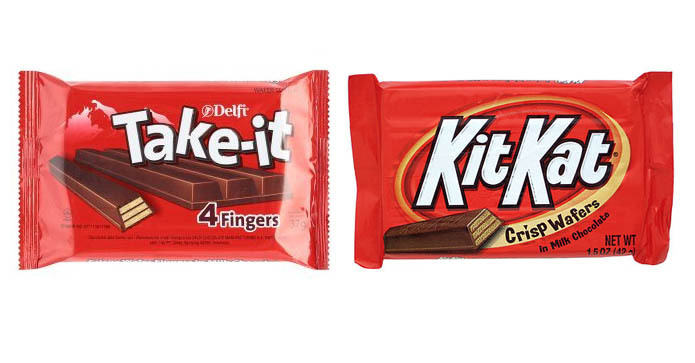 The two-finger and four-finger shapes of Kit Kat chocolate bars are not entitled to trademark protection in Singapore. Kit Kat chocolate wafers are made by Swiss food and beverage giant Nestle. The Court of Appeal, in a written judgment, affirmed an earlier decision by the High Court which had thrown out Nestle’s suit against Petra Foods over an alleged trademark infringement. Nestlé had registered the shapes of its Kit Kat bars as trademarks in Singapore. Petra then made similarly shaped chocolate wafers marketed under the brand Take-It and counter-sued Nestle to invalidate their registered shapes, arguing that they cannot be considered trademarks under the law. December 2016, a five-judge appeals court, in an 85-page judgment delivered by Chief Justice Sundaresh Menon, unanimously dismissed the appeal. The court ruled that Nestle’s shapes lacked inherent distinctiveness and had not acquired distinctiveness through use.